read this before ordering your stationery to get a feel of how things work here. 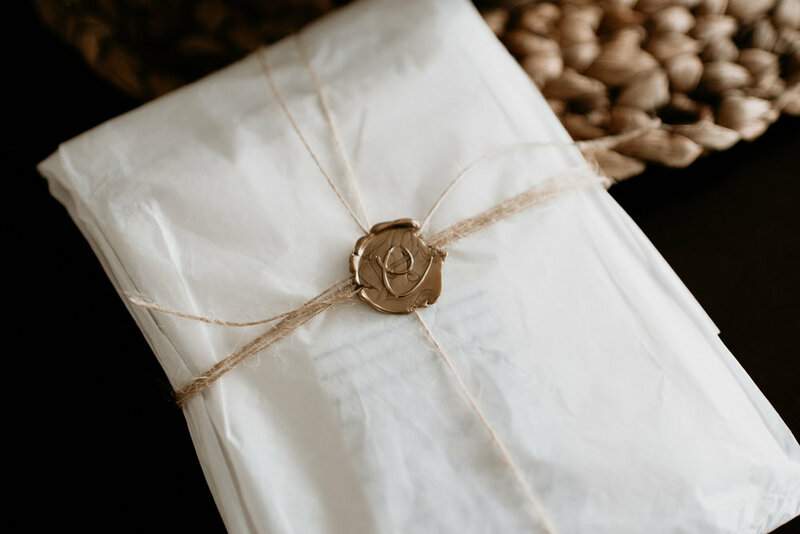 i outline the general process, explain semi-custom vs. custom, include examples of what types of materials you can use, & show you how you can order your own invitations. it’s all here! imagine what kind of wedding you want, if you haven’t already been thinking about it for months. what is the vibe that you are going for? what kind of life are you going to create with your partner and what type of style best reflects that? figure out the nitty gritty. how many guests will you invite, and how many households is that? when & where will your wedding be, and do you want any specific wording? this is the fun part! pick out what suite suits you best, along with any extra enclosures and embellishments you want. pay up front or a 50% deposit, depending on your order method (see bottom of the page). i’ll create a mock-up of the suite with your details & we will work together until you approve it for production. three rounds of revisions are included for semi-custom suites, unlimited rounds for custom. i get to work on bringing your suite to life! i send your finished wedding goods out & you get to share them with your friends & cherish them for the rest of ever. see below for how many weeks it typically takes to get finished goods in the mail once they’re ordered. semi custom suites are pre-designed pieces that are customized for you & your partner. these pieces have a quicker turnaround and are less expensive than custom suites. make each semi-custom suite yours by customizing details & adding-on embellishments as outlined below. custom suites are designed from scratch, especially for you & your partner. these pieces have a longer turnaround & are more expensive, as i create a suite that captures the essence of who you are as a couple & the new life that you have decided to create together. i will guide you through the invitation process & handle the overwhelming details to let you focus on the things that matter: you & your partner’s future together. a creamy paper with a light texture that gives it a kind personality, my favorite! it’s 118# weight will make your event feel substantial, without making it too stiff. the most cost effective option that will still make you feel luxe. this paper is similar to the cotton, but with soft torn edges that add a level of elegance. all colors are 118#, except for the pink which is slightly lighter at 89#. this brings a vibe similar to handmade paper at a lower budget. our loveliest paper, it feels like butter & has the perfect, smooth texture. with each piece made individually, it will indicate sophistication to your guests. our most expensive paper option, but its definitely worth every penny. choose from a selection of colored envelopes to make you invitation suite complete. each semi-custom suite comes with a few envelope color recommendations, but you can always choose your preferred color. with custom suites, you can also choose the color that suits you best. a type of printing that uses a professional inkjet printer. this is the most cost-effective printing option. it produces crisp lines & works well with all colors to create a flat & smooth finish. works with our cotton, deckled, & handmade paper. a contemporary style that is perfect for events that are bright, cheery, & full of heart. this style is characterized by thick lines & bouncing letters that translate into joy on paper. 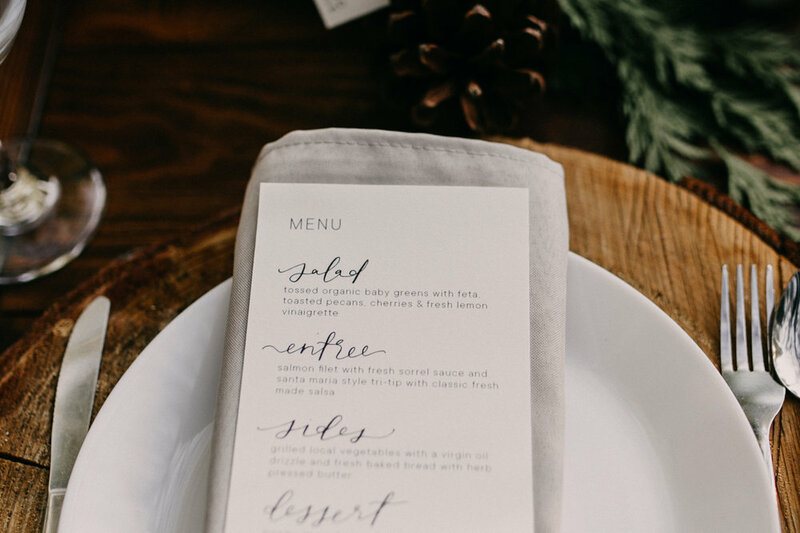 a modern twist on the more traditional script, this style is upright and refined. it is familiar, but just distinct enough to add a level of sophistication. a take on the traditional script, perfect for couples that want something classic and mature. this simple angled style adds delicacy to each piece its used with. this is the easiest way to order. pay 100% up front and choose one of my semi-custom suites. you will have three rounds of revisions to make your semi-custom suite feel like yours. finished invitations are sent out within 5-6 weeks of ordering. for semi-custom suites only. best way to get your order tailored to your exact needs. once you fill out my wedding questionnaire, i’ll build you a custom quote & we’ll tweak it ‘til it’s to your liking. you’ll pay a 50% deposit & we’ll start the design process from there. for semi-custom & custom suites. still got questions? send me an email! schedule a fifteen minute phone consultation.